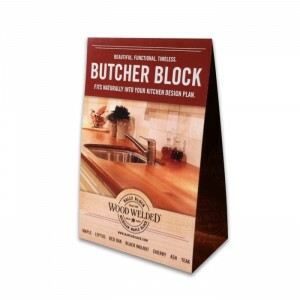 Let customers know you stock the original and world standard in butcher block: Wood Welded brand. 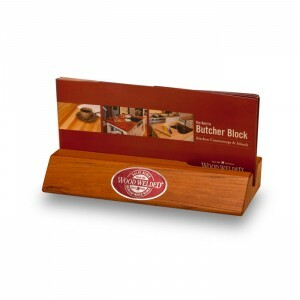 The countertop display block is a point-of-purchase tool crafted of solid maple butcher block. 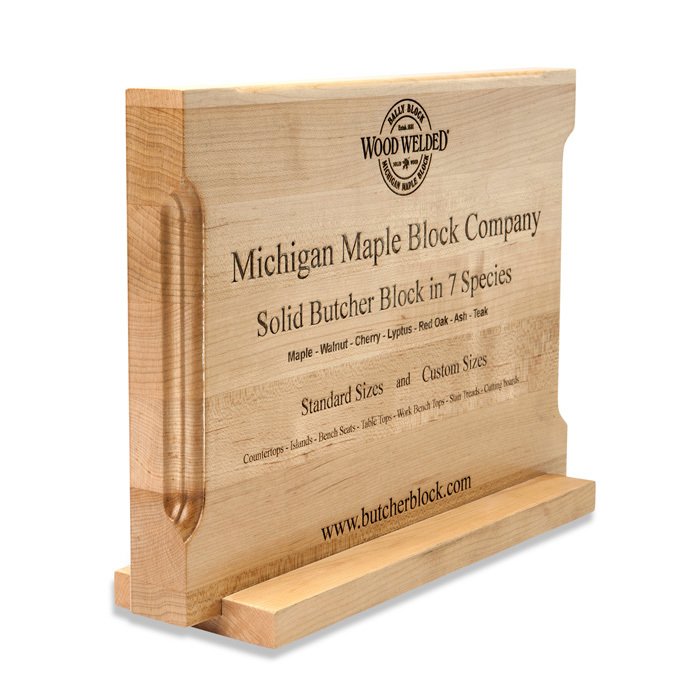 It features a laser-engraved logo and lists the seven available species. 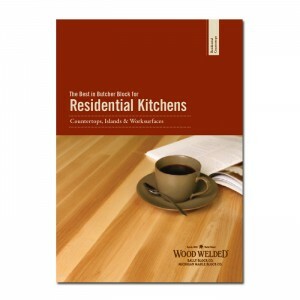 Also shows example square, round, chamfer and ogee-routered edges. 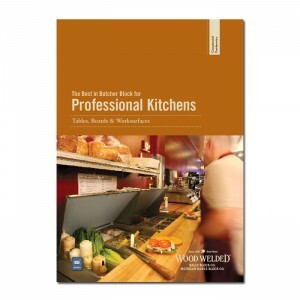 Vertical format with a compact 14″ x 4″ base w/rubber feet. • Laser-engraved solid maple butcher block.